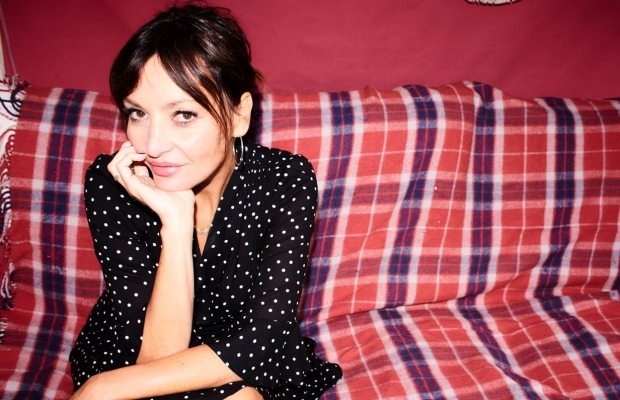 Pearl Lowe’s early career as a singer songwriter cement her rock’n’roll credentials but perhaps contradict her impressive creative design business. While still living in London, Pearl found an outlet for her creative talents by designing beautiful interior spaces in her home, and it was this, along with the positive media attention, that spurred Pearl on to take this vocation to the next level. However, it was a move to the country to a large rambling house in 2006 that saw Pearl finally grow her passion in to a business. Best known for her love of vintage interiors and fashion, Pearl has created her own unique design signature which is both traditional yet brought up to date with elements that hint at glamour. Ever charming, Pearl personifies her brand and is rarely seen not wearing one of her eponymous dresses, and it was her innate sense of style that led her to designing ranges for women and children for High Street retailer Peacocks. These hugely popular and sought after collections, sold out within 24 hours, and placed Pearl Lowe firmly on the design map. Meanwhile, Pearl’s interior design business continued to flourish and got her commissions with a host of famous names, all wanting their own version of Pearl’s design philosophy. In 2013, Pearl launched her first interiors book, entitled ‘Pearl Lowe’s Vintage Craft’, which saw her bring her styling advice to a much wider audience. A seasoned media commentator, Pearl has contributed to TV Programmes, design columns and blogs as well as appearing as a mentor on Britain’s Next Top Model. Her latest project, combines two new collections. Pearl Lowe Lifestyle is a curated collection of homeware pieces, featuring items such as Pearl’s renowned lace curtain panels, fragrances, candles and hanging sequin hearts and is available online. Petite Pearl Lowe is a kid’s luxury dress-up collection with extraordinary vintage inspired costumes. The launch collection, which takes its cues from the circus, is aimed at young girls and allows them to create a magical fantasy world where their imaginations can run riot. Petite Pearl Lowe is available exclusively from Harrods (from October ’15). Pearl currently lives in the countryside with her husband and their three children, where she enjoys a healthy lifestyle and is honing her growing interest in health, nutrition and meditation and has contributed to her daughter, the model Daisy Lowe’s recent cook-book. Pearl’s tranquil lifestyle is completed by the presence of her beloved dogs, Angie and Debbie. Ever the altruist, Pearl is a proud supporter of Action on Addiction as well as the NSPCC and Crisis.